Facebook CEO Mark Zuckerberg appears at a House Energy and Commerce Committee hearing on Wednesday. His time on Capitol Hill this week led to many memes and edited images. Facebook founder Mark Zuckerberg inspired a ton of memes and funny images this week during his two days of testimony before House and Senate committees. But one is truly out of this world. Evan posted this photo to Reddit. Not only does the picture poke fun of Zuckerberg’s robotic responses void of emotion while in the hot seat in Congress, but the sign in front of him is also a pun. “Mr. Data Accumulator” it reads, referring to both the “Star Trek” character’s name and Cambridge Analytica, the company that harvested data from Facebook users without their knowledge. Comment from discussion Lt. 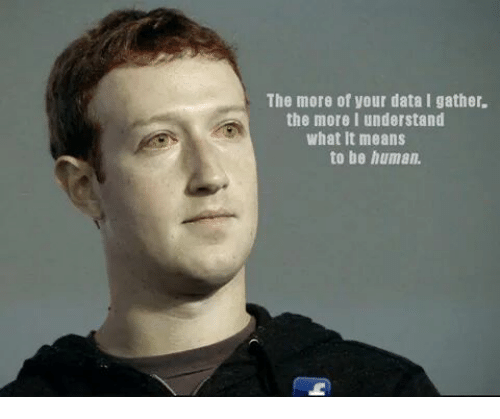 Commander Zuck in court after his plan to study humans in greater detail backfires. Though the image is undeniably clever, Evan is the first to admit he didn’t come up with the idea on his own. During Zuckerberg’s two days of testimony, some people on social media pointed out that the CEO looked a lot like Data. “It’s just a dumb, funny joke, which is all I ever intended my picture to be,” he added. We’re sure Data would have appreciated it.